Boating on the waters of Delaware can be a great way to see and appreciate our environment. While on our waterways, here are some things to remember to keep them clean. Avoid discharging sewage and wastes directly into the water. Sewage contains disease-carrying organisms and nutrients that are harmful to humans, plants, and wildlife. Wastes should be disposed of at dump stations or pump-out facilities. Clean fish at designated areas and dispose of waste in proper containers. Do not throw fish waste into surface waters at marinas; the waste can cause water-quality problems within the marinas. Avoid over-fueling. One quart of engine oil spilled in one million quarts of seawater will kill half of the exposed crab larvae. Purchase vents that act as fuel/air separators so that fuel does not enter the bilge. Use oil-absorbing pads in the bilge and dispose of them properly. Obey speed limits and no-wake zones. 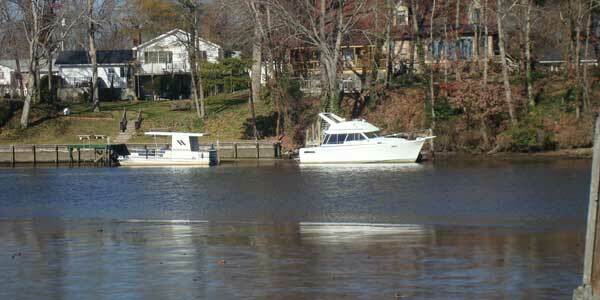 Boat wakes contribute to shoreline erosion. Be careful in shallow areas; do not disturb the sediment or uproot vegetation with the boat propeller.